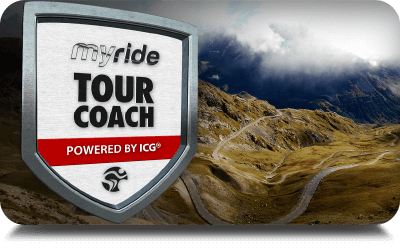 • Myride+ Live is provided with a comprehensive and internationally accredited education course. The online course is free of charge with the one day workshop subject to additional charge. 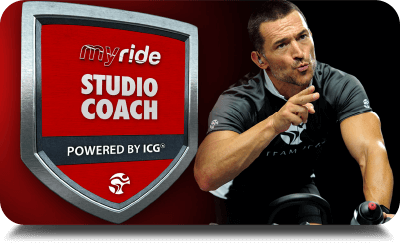 • All videos are five minutes long and filtered by terrain, descent, flat, mixed and climb to enable the instructor to build endless playlists to suit all class times, intensity profiles, choreography, and music. • Removing instructors' additional class preparation time to work with video, "Quick Start" empowers the instructor to toggle between the four different terrains at one touch of the screen. "Quick Start" means anyone can match the right video to the right song and training goal without planning. 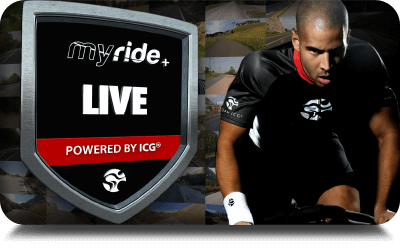 • Whilst participants are riding to, and getting immersed in, the stunning video, the instructor is provided a screen to navigate and control the footage in real-time. Instructors can change the footage type (from one song to another) at the touch of a button in real time, no planning required. Making it fast and easy for the class to ride any destination in any order. Instructors can save or load pre-choreographed workouts for when time is of the essence. Allow instructors to build the perfect workout at the start of the class, then just press play. Instructors can quickly access (at the touch of a button) a visual of what all riders in the class are experiencing to aid in instruction. The class schedule assures clubs from all market segments that they can offer more (more classes) and pay less (less in staff costs and operational management). All virtual coaching classes can be created by the member him - or herself or by an instructor. You can encourage groups of members or single users to pop into the studio and run a class of their choice when live or virtual classes are not scheduled.